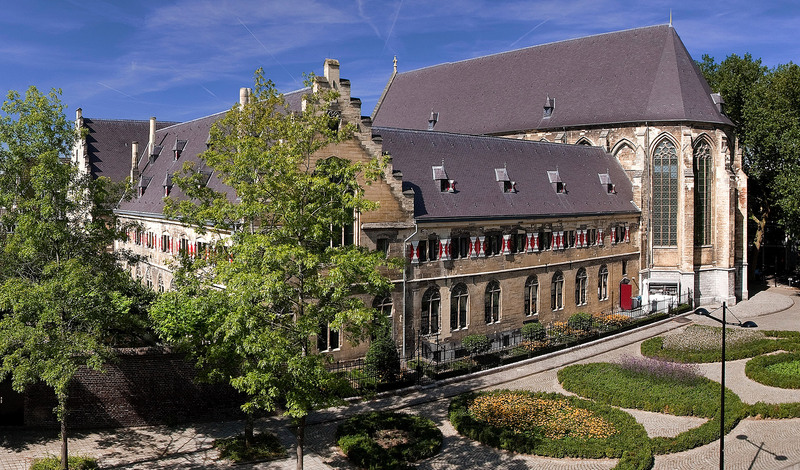 —Located in the center of Maastricht, this renovated 15th-century monastery of the "Crutched Friars" offers a breathtaking synthesis: its veritable Gothic façade encloses a dressed-down modernity. 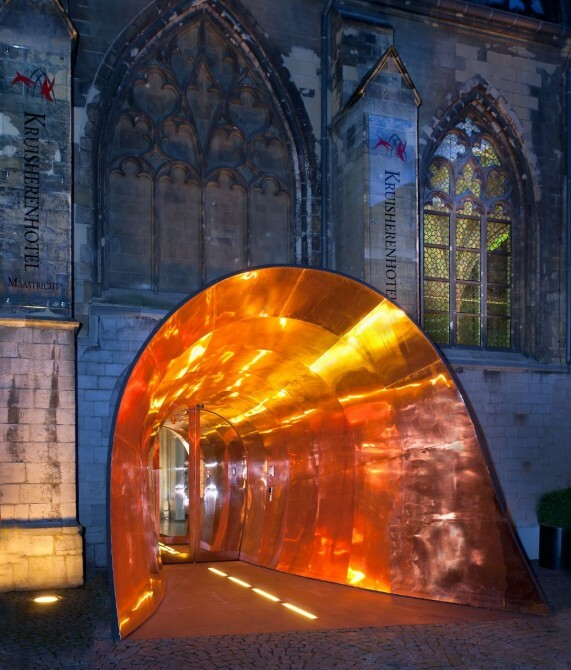 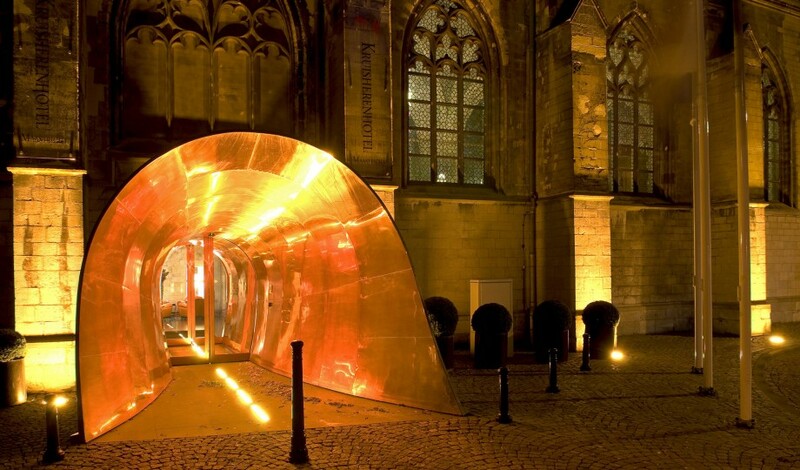 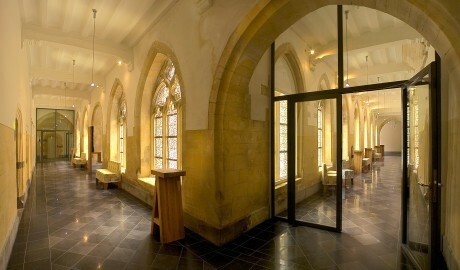 Proving that contemporary styles can be perfectly matched with late-medieval architecture, the designers of Kruisherenhotel Maastricht have come up with many innovative solutions for various structural challenges, including such highlights as the glass elevator connecting the church to the monastery area. 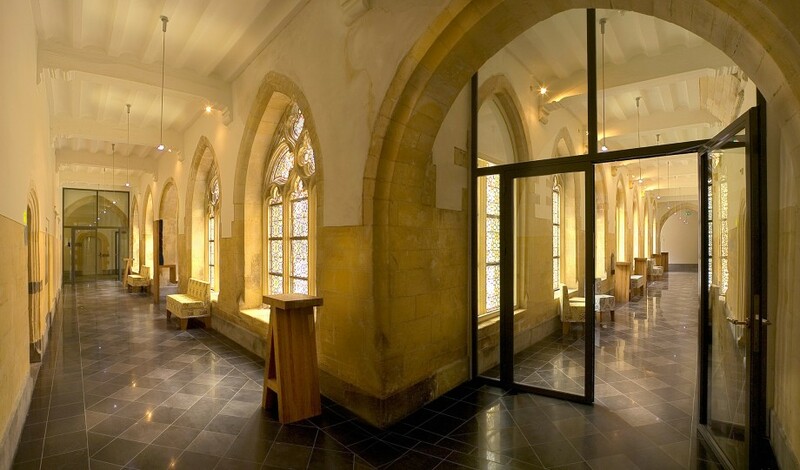 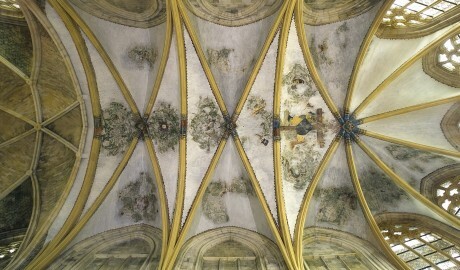 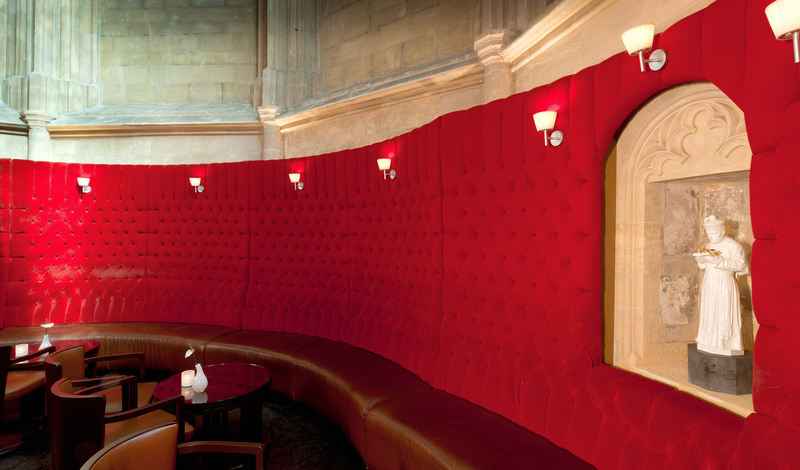 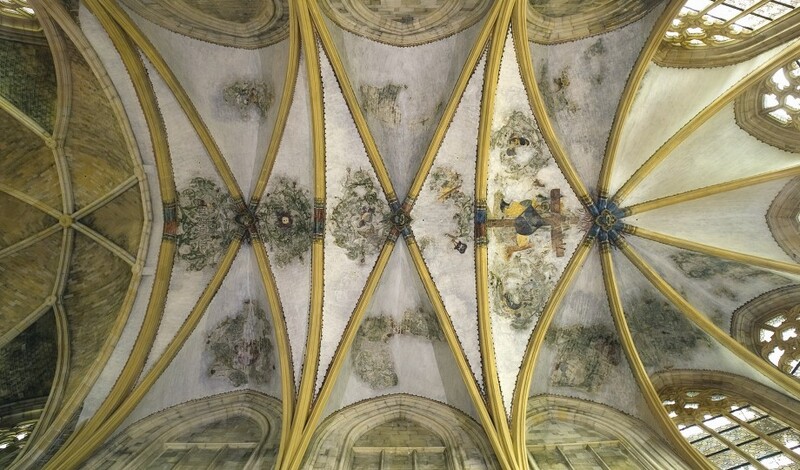 The sixty-room complex consists of the original monastery as well as a Gothic church, which now houses the reception area and several hotel facilities, including conference rooms, a library, a boutique, a restaurant, and a wine bar. 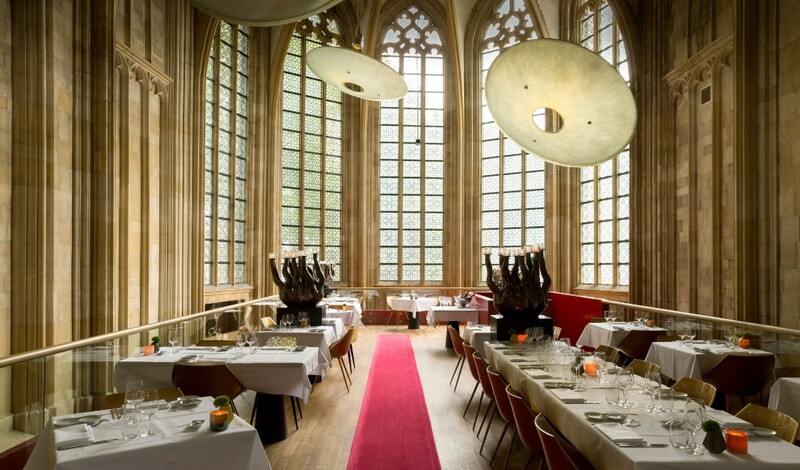 Another spectacular feature is the newly installed mezzanine, where guests are served breakfast while taking in views of Maastricht through the chancel windows. 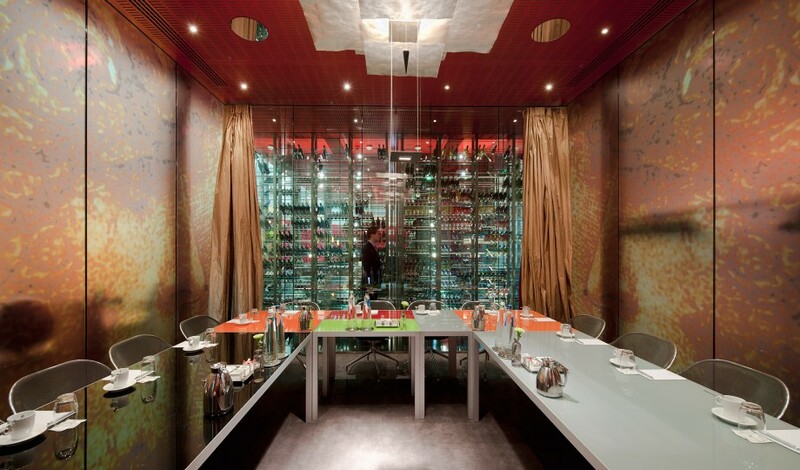 The "espace vinicole" is no less stunning, both for its impressive offering of wines as well as the strikingly large glass vault which houses them. 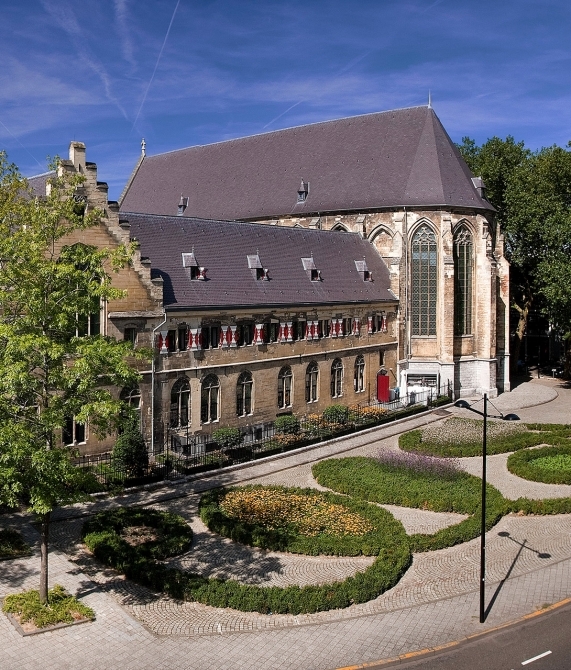 The interior is matched by beautiful monastery gardens – a haven in the midst of a vibrant city center. 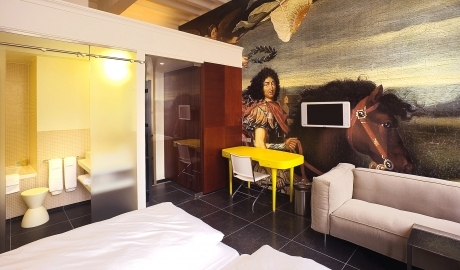 Custom-made Kruisheren beds by Henk Vos and Auping feature throughout the hotel’s 60 rooms and suites, which also feature deluxe bathrooms with spacious tubs. 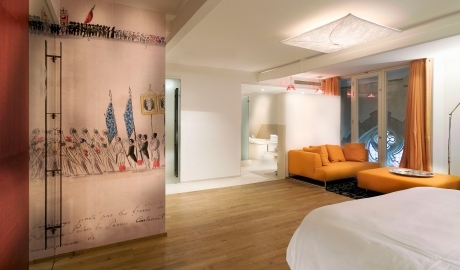 The collaboration between Dutch designer Henk Vos and revered lighting designer Ingo Maurer creates a miscellany of textures and tones throughout the guestrooms, while luxury reaches its pinnacle in The Suite, replete with a whirlpool and two-person shower. 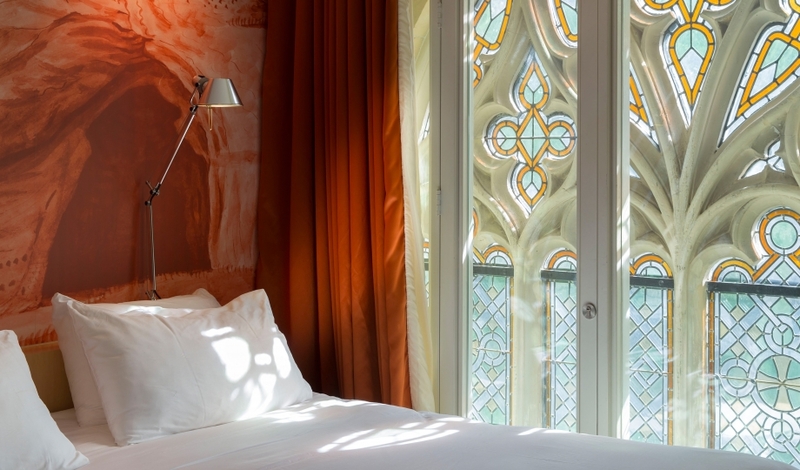 The interiors are luxuriously appointed with artworks and furniture by big names such as Philip Starck and Le Corbusier, while the odd stained glass window adds an occasional dash of opalescence. 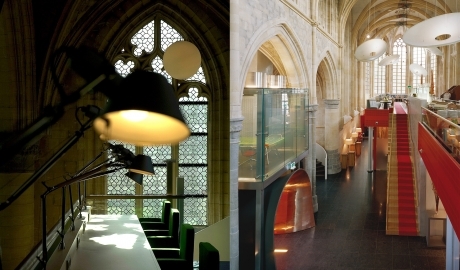 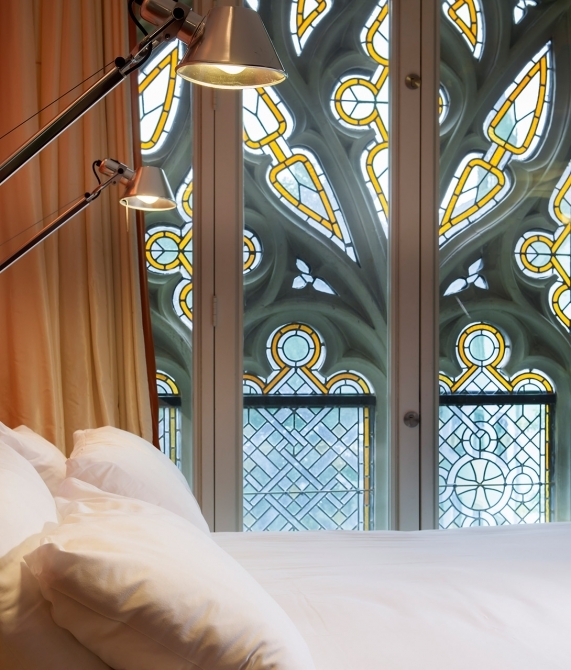 Formerly a 15th-century monastery on Kommelplein Square, the building that houses Kruisherenhotel is now a synergy of modern and gothic design. 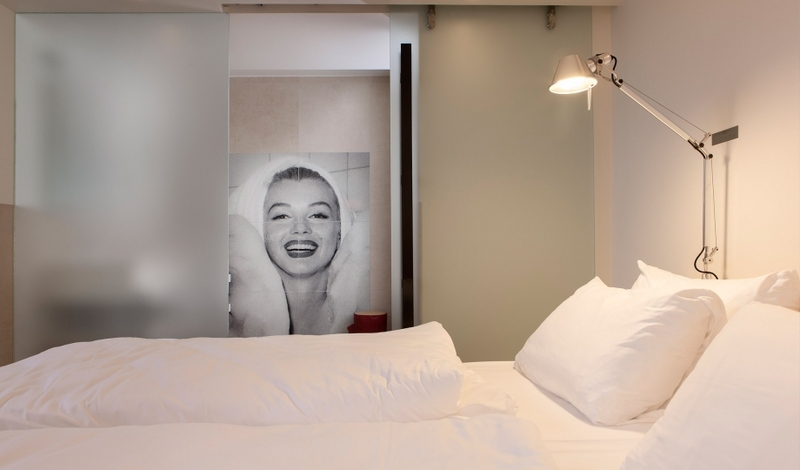 Camille Oostwegel is every inch a Limburg hotelier. As a young boy, he developed a passion for history, culture, and gastronomy. 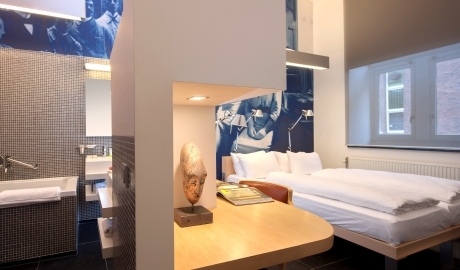 In 1969, he began his studies at the Hotel Management College in Maastricht, before working at various branches of Novotel. 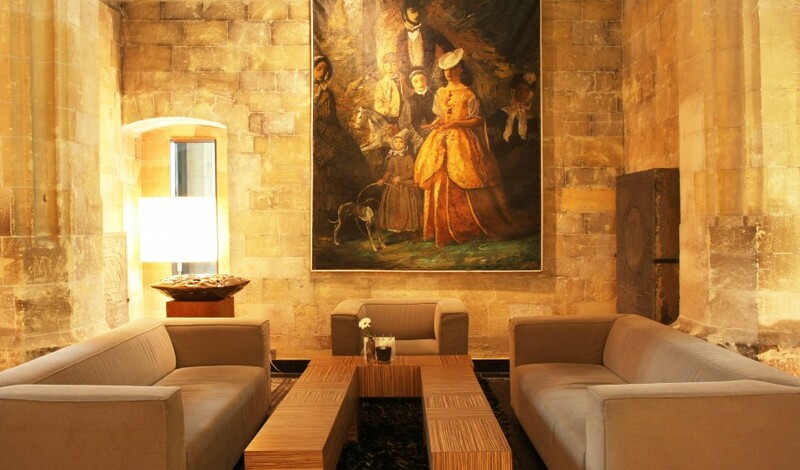 During this time he quickly became operations director and advisor for the first Novotel branches outside France. Oostwegel returned to Limburg and made his debut as an independent entrepreneur, starting with his first restaurant, Kasteel Erenstein. 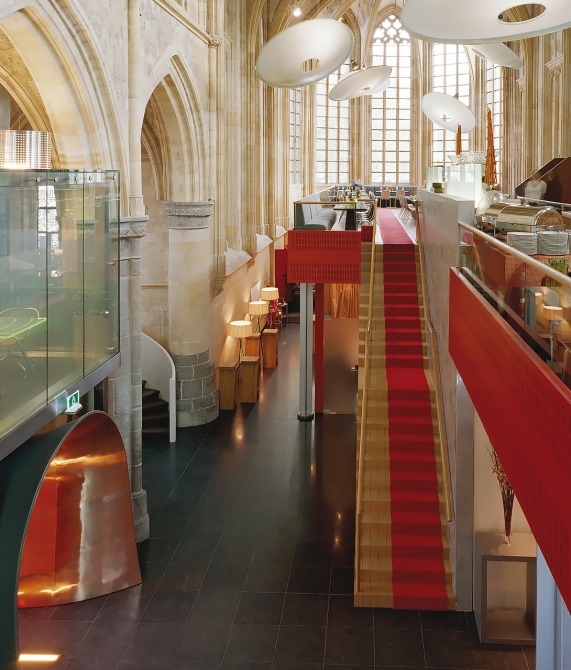 All of his hotels and restaurants are housed in monumental buildings that he restored to their former glory, including the Kruisherenhotel Maastricht, where smart design lives between heaven and earth.